All about African Painted or Wild Dogs, their behaviors, conservation, communication, where to see this endangered species and more. Learn how Painted Dog Conservation.org outside of Hwange National Park, Zimbabwe is helping educate whole communities learn about nature, habitat and human / wildlife co-existence. 1. Youth culture: Unlike other canids, a new pack leader or alpha male may not be the strongest, wisest, or most experienced; he rises from the youngest mature generation, without aggression from or toward the older males, and usually leads until his mate dies. 2. Feminine mystique: In painted dog society, it is the female members that leave their natal pack upon maturity, not the males as with most other canids. 3. It takes a (painted dog) village: After the hunt, painted dogs step back from their prize and let the youngest pups (up to a year old) feed first, then the others, including those that didn’t help, will eat. Infants, nursing mothers and even the sick and elderly are collectively taken care of by adults who regurgitate their food to feed the others. 4. Not your “usual” dog: African painted dogs are not domestic animals gone feral. They are genetically different from your pet, and cannot interbreed with them. 5. Good neighbors: There are few if any verified instances of a painted dog in the wild attacking man or even show aggressive behavior toward each other. They rarely strike at livestock. African wild dog, painted hunting dog, African hunting dog, Cape hunting dog. The painted dog has five subspecies: L.p lupines, L.p manguensis, L.p pictus, L.p sharicus, and L.p somalicus. Please see the end of the article: “More on Painted Dog Subspecies” for additional information. There is no close living relative to the painted dog. Although their scientific name: Lycon pictus translates as “painted wolf”, they are genetically far removed from the 35 other wild canid species. Painted dogs split from the ancestor they have in common with wolves and domestic dogs over 3 million years ago. They evolved along a line that includes, but is also far removed from, the Indian dhole, Cuon alpinus, and South African bush dog, Speothos venaticus. Painted dog is the only species in its genus. They cannot interbreed with any other species. Unlike your family dog (Canis lupus familiaris) that has five toes, painted dogs (Lycon pictus) have only four. The two species are not closely related and cannot interbreed. Image: Thanks to ©Marc Cronje, Independent Field Guide, Kruger NAtional Park. It is important to remember that painted dogs are NOT feral domestic dogs, however, they do look like your four legged family members and as you watch them many of their behaviors will be very familiar. It is almost impossible not to smile when you see them interacting. Painted dogs are enthusiastic greeters and tail wagers. They jump, play and tease each other. They sleep together. But painted dogs do not bark or howl and are genetically different from Canis lupus familiaris. 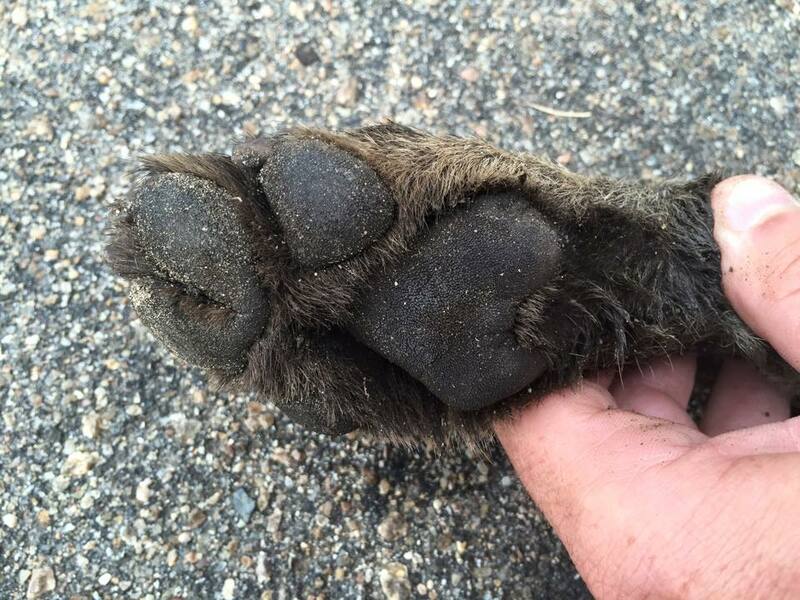 They have four toes instead of five, and unlike other canids, not all males lift a leg to urinate. In the painted dog world, only the alpha pair, male AND female lift their legs, all others squat. It is thought that in the not so distant past more than 500,000 painted dogs ranged over 39 countries in sub-Saharan Africa. Today, approximately 6,600 survive, although some sources put the figure significantly lower. They exist in small packs thinly spread through diminished ranges in Zimbabwe, Botswana, South Africa, Tanzania, and perhaps Senegal, Ethiopia, and Mozambique. There may be additional tiny populations elsewhere, but most sighting reports are unconfirmed. Social and extremely dependent on each, painted dogs are also the only known species to actively care for their sick and weak pack mates. Destination: Kruger National Park, South Africa. Image: Marc Cronje, Independent Field Guide. As per the IUCN assessment published in 2012, painted dogs are regionally extinct in at least 11 countries: Egypt, Cameroon, Burundi, Eritrea, Gabon, Gambia, Ghana, Mauritania, Rwanda, Sierra Leone, and Swaziland. And probably extinct in 7 more: Mali, Nigeria, Uganda,Togo, Democratic Republic of Congo (DRC), Côte d'Ivoire, and Guinea-Bissau. Painted dog is a wanderer; in the Serengeti packs have ranges that cover up to 900 sq. miles (2,300 sq. km). Territories of up to 150 sq. miles (390 sq. km) are considered normal. Habitat encroachment has severely diminished their rangelands causing tremendous negative impact on overall painted dog numbers. As habitat encroachment caused more contact between man and painted dog, human fear, much of it based on superstition, lead to the systematic extermination of entire populations. For decades, all over the African continent, painted dogs were systematically hunted, shot, snared, and poisoned, in some cases encouraged by local and even national governments. Additionally, diseases such as distemper and rabies transferred from domestic animals spread rapidly among painted dogs, and have been known to wipe out entire packs at one time. (Update: 6/8/16: On May 27, 2016 authorities at Kruger National announced the loss of the entire Lower Sabie pack from canine distemper probably spread through contact with a sick or feral domestic dog. The effects of all of these factors are intensified by the species’ own unique social system. Packs members are very dependent on each other; as a group they all help raise the young and, unusual in the animal kingdom, also take care of the weak and sick. When one individual is killed it can cause the others to disperse lessening survival chances for all. Ironically, although “dogs” are one of the most beloved animals on the planet, this endangered species has inspired neither the passions that are helping spread awareness of the grey wolf’s plight, nor have they directly inspired significant responsible wildlife travel as has the charismatic elephant or lion. It is a rare safari traveler that has painted dog on their “must see” list; many people are either not aware of the species at all or confuse them with feral domestic dogs, See: “What’s the Difference: Painted Dog Verses Domestic Dog” above. Without ivory for the black market or “trophy” game status, painted dogs are in some ways more fortunate than several other endangered species – they are hunted “only” for bush meat or out of a misplaced fear for the safety of the community or farm animals. Systematic extermination throughout their range has brought painted dogs to the edge of extinction - but with efforts directed at educating local people and without either the ivory or "trophy" status that fuels poaching of other species, there may be hope. Image:Thanks to ©MArc Cronje, Independent Field Guide. Destination: Kruger National Park, South Africa. Dead or Alive: It is becoming clear that the fate of wildlife is irrevocably linked to the value they bring to the surrounding communities. If the animals are more valuable dead, they will be invariably end up dead. If more beneficial alive, communities will endeavor to preserve them. The Painted Dog Conservation (PDC) in Zimbabwe is an example of using this understanding for the benefit of all. Community Benefits: Painted Dog Conservation spends considerable resources enhancing the long-term well-being of the surrounding human communities, ensuring that everyone benefits from painted dog preservation. Their Dedicated Education Outreach Officers introduce children to biodiversity and teach water and soil conservation through school and community programs, conservation clubs, and their popular Children’s Bush Camp (over 9,000 children and counting). Community Development Officers focusing on food security programs, work with adults on sustainable farming and livestock husbandry, water purification, HIV resources, and women’s financial empowerment initiatives. On the species preservation side, the PDC further involves the communities by color-coding the radio tracking collars; this allows community members to “know” the individual animal they are spotting. Local Actions: These efforts and more are resulting in communities developing a kind of benevolent “ownership” of the wild painted dogs. Villagers have formed their own anti-poaching teams, and together with the PDC’s own patrols in cooperation with the Zimbabwe Parks and Wildlife Authority, helped find and remove over 30,000 snares in 2015. Unfortunately, 30,000 snares discovered and removed is not enough, the PDC also runs a rehabilitation and release program for the painted dogs still being injured or orphaned. And finally, the benefits of wildlife tourism are brought home to villagers through the Interpretive Hall at Hwange National Park. Here everyone can learn about the species, and locals share in the opportunities and dollars, tourists traveling to experience wildlife, including painted dogs in their natural habitat, bring to their communities. Members of a painted dog pack always seem to be having a good time together. This guy, running with his mates, is probably on a hunt. Destination: Kruger Park, South Africa Image: ©Marc Cronje, Independent Field Guide. 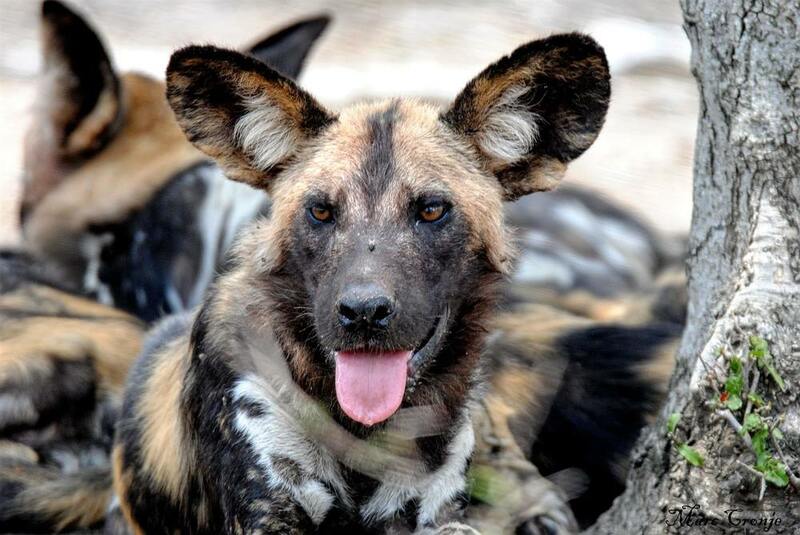 Results: As with any business, “Conservation” results are quantitative: According to the Wildlife Conservation Network (WCN), the painted dog population has grown to 700 individuals in Zimbabwe, an increase of over 300 individuals since PDC began work there. The PDC’s programs are building more economically stable and healthy human communities with the happy by-product of multi-generational community partners for the painted dog preservation. There is reason for great hope for the community’s and painted dog’s success. See the PDC’s annual report for more information on their programs and results. Like a modernist painting, painted dogs come in various colors and patterns. Some, like this one have a lot of white, some almost none at all. but all have white tipped tails and black noses. Destination: Kruger N.P. South Africa Image: Thanks to ©Marc Cronje, Independent Field Guide, African Wildlife Specialist. Usually female painted dogs are larger and more powerful than the males. Painted dogs are immediately recognizable for two features: their huge, rounded ears that stand straight up from their heads and the mottled coats for which they were named and which make them look like a modernist painting in black, brown, red, white, yellow, and gold. Their muzzles are always black and their tails always tipped in white. Painted dogs in the northeast of Africa tend to be darker; the populations in the south tend to have brighter coloration. The alpha pair breeds, if another female has puppies, the alpha female may steal or kill them – although other females may help to nurse the alpha’s puppies. After an approximately 70-day gestation period, litters of up to 20 puppies (the most of any canine related species) are born in a den, either repurposed from another species like an aardvark, or dug out by the mother with help from the pack. This "babysitter" was guarding the pups above, "mom" had probably joined the hunt. When they return, The hunters will regurgitate their food to feed those left behind. Destination: Kruger National Park, South Africa Image: Thanks to ©Marc Cronje, Independent Field Guide, African Wildlife Specialist. Females are very important to the hunt. A nursing mother will leave her puppies, usually with male baby sitters, and join the others. All members, male and female, act as baby sitters and guardians and will feed both the puppies and those caring for them. By ten weeks the puppies are weaned and begin to eat regurgitated food. At about 6 months they can roam with the pack and even tag along on the hunt. See “What Are They Doing” below for more information. Painted dogs have a characteristic very unusual in the canid world: upon maturity (14-30 months), females, not the males, either singly or as a group, strike out on their own, abandoning their natal pack in search of a mate. These sisters may split up or stay together with the alpha female emerging from among them. When an appropriate mate joins the alpha female, a new pack is created. This system ensures that adult males will not be related to the adult females within a pack, thus keeping the instance of inbreeding very low. Painted dogs can live up to 11 years. The painted dog is a carnivore. Their preferred menu includes small to mid-sized antelope such as: impala, bushbuck, duiker, kudu, and reedbuck. They will also attack a zebra or wildebeest or even a buffalo, choosing the weakest of the herd or lone animals. Smaller mammals and birds supplement their diet. Their unselfish system of dividing the food among the pack differs from other canids. Painted dogs packs are strongly dependent on each other for survival. Members are rarely aggressive inside the pack; in fact they are remarkably submissive to each other, licking each other’s mouths, rolling onto their backs, bowing heads, and regularly begging from each other. This makes for a very tight-knit, confident, and cooperative team unafraid to take on a hyena or even a lion when necessary. Benefits of Teamwork: This close teamwork leads to reward. Painted dogs are the most efficient hunters in Africa, successful 70% - 90% of their attempts, a far higher rate than other predators; lions only bring down 30% of their prey. These dogs are fast. Long legs and large lungs help them run at speeds up to 37 mph (60 km/h) for three miles (5 km) Destination: Kruger N.P. South Africa Image: Thanks to ©Marc Cronje, Independent Field guide, African Wildlife Specialist. Hunting: On the hunt, the alpha individual leads and chooses the prey. However, another pack member may also spot a candidate, splitting the group into two hunting parties. This is not necessarily a sign of competition between the dogs, but a way to provide more food for all. The result is often two kills for the pack to share. Painted dogs might target prey up to 10-times their size, unfortunately, their audacious hunting style has lead to a very bad reputation for this amazingly unaggressive animal. The dogs are fast (up to 37 miles per hour / 60 km/h). Long legs and large lungs give them speed and great endurance. Unlike other predators, painted dogs have relatively small, weak jaws so do not use a “kill bite” or strangulation bite. They chase their target at full speed for up to three miles (5 km) until it falls from exhaustion or shock, tearing at the animal’s flesh, disemboweling the prey it as it runs. This method is thought to kill more quickly, but can be horrifying to a human onlooker. Feeding: The painted dogs must consume the kill quickly before lions or hyenas steal it; even so, immediately after the kill, they revert again to their more characteristically submissive behaviors. The strongest individuals do not rush in to grab the food – instead, all adults hold back, allowing the young tag-along puppies to feed first, this continues for a year or so until the puppies are fully mature. These are the only known carnivores to do so. While the others gorge, some members stand guard against thieves. Even so, every member of the pack, including those not involved in the hunt, have an opportunity to feed on the kill. Afterward the hunting party has fed, they quickly travel back to the den or meeting place where they regurgitate their food for the youngest puppies, and those left behind. In this way, too many puppies, sick or old individuals can actually weaken a pack overall. In a painted dog pack, sometimes the alpha pair is the last to eat. Painted dogs rarely stay in one location for more than a few days. They continuously move throughout huge ranges, traveling sometimes shoulder-to-shoulder, good-naturedly jostling or mouthing and regularly grooming each other. They are so unaggressive within the pack that it is not unusual for the most submissive (and the best at begging) to be the most well fed. All this interdependence comes with mixed result. On one hand it makes for healthy, successful packs, but the vacuum created when even a single member is killed can be deadly. All means of survival: acquiring food, raising young, and defense against predators is done as a team. Especially with decreasing painted dog numbers causing diminished pack size, the loss of even one strong individual threatens the while pack's survival. Painted dogs communicate with a range of vocalizations, including “chirps” and squeals, but they do not actually bark or howl. At night they can sound almost like an owl, making a “hoo” noise. Physically, they greet each other with enthusiastic tail wagging, bowing, jumping, chasing, rubbing against each other, and many other submissive behaviors. Listen to the video in "What Are They Doing" to hear painted dogs vocalizing before a hunt. Painted dogs used to range over all of sub-Saharan Africa; currently they can be found most often in Zimbabwe, South Africa, and Botswana and in small areas of Namibia and Tanzania . They prefer grasslands, savannah, open woodlands, and higher elevation, Afroalpine areas. Aside from humans, painted dogs have two natural enemies: lions and hyenas. Both species are larger than painted dogs and are notorious for stealing their kills. Of the two, hyenas are more easily defended against by the well-organized painted dog packs. Painted dogs have two natural enemies: hyenas and lions. These lionesses are likely to dig out a den and take all the newborns - plus the adults defending them. Image: © Marc Cronje, Independent Field Guide, African Wildlife Specialist. But with populations crashing, their natural enemy, the lion, presents an even bigger challenge to their survival. Although the whole pack will defend its young, painted dogs are still no match for lions who are known to dig out a den and wipe out the entire puppy litter, as well as taking down the adult defenders. This can severely weaken or even cause the pack to disperse. Disease is also a great threat. Due to their social behaviors, rabies, distemper and other maladies spread from domestic animals rapidly and are especially deadly in painted dog packs. See above: ”What are they doing?” for more. Do you have a story about a painted dog encounter? Share it with us and our fellow wildlife lovers. He may look ferocious but he is only playing with pack mates. Painted dog's jaws are comparatively weak - unable to make the "kill" bite of most predators. Image: Thanks to ©Marc Cronje, Independent Field Guide. Destination: Kruger National Park, South Africa. With approximately 5,660 sq. miles (14,650 sq. km) of protected area, Hwange, famous for their elephants, is the largest national park in Zimbabwe. It’s located in the northwest corner of the country about an hour south of Victoria Falls. This is also the home of Painted Dog Conservation. Visit them when you are there! See “Encouraging News” above for more information. The best time to see wildlife in Hwange is the dry season, August through October, when the foliage is not as lush and the animals gather around the water holes. 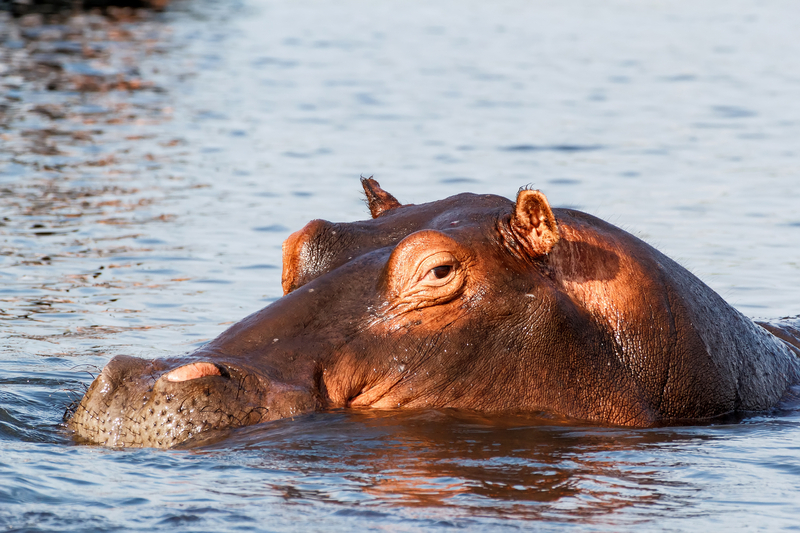 Hwange boasts 60 man-made water holes, several have raised wooden hides for better viewing. Stay awhile and watch the constantly changing parade. Temperatures can be hot during the day, but drop to freezing at night, and there are mosquitos. Come prepared. Wildlife Bonus: Over 100 mammal species including: elephant, lion, rhinoceros, leopard, Cape buffalo, zebra, giraffe, roan deer, and jackal, and over 400 bird species. Look for the huge, mostly ground dwelling Kori Buster and ostriches. Kruger National Park is a great all year destination with their winter (May through September) probably being the most comfortable in regard to weather as well as for viewing. Less foliage means wildlife is easier to spot. Kruger Park is huge, actually the size of Wales or Israel, with an estimated 4,814,720 protected acres (1,948,448 hectares). Here painted dogs have the physical roaming area they need and it is estimated that between 400 and 500 make the park their home. Two male white rhinos literally facing off at a water hole in Kruger National Park, South Africa. They charged each other making quite a stir. No one got hurt this time. Image: Thanks to ©Marc Cronje, Independent Field Guide. The dogs tend to be found all over in the park’s mixed woodlands and savannahs, but the southwest section seems to be their favorite. You are also guaranteed to see amazing numbers of other wildlife species including both African rhino species. Look in the southern regions for the white rhino. Wildlife Bonus: Lion, cheetah, leopard, Southern African giraffe, both black and white rhinoceros, elephant, vervet monkey, sable, kudu, and Cape buffalo. While Chobe National Park, a prime wildlife destination, is not generally a “road less traveled” for safari goers, painted dogs are so rare overall that the mere fact that they can be found here is reason to include it. Chobe National Park encompasses four distinctive eco-systems including the amazingly fecund Chobe River front, the Savute, the Ngwezumba pans, and Linyanti. In Chobe you can find a huge variety of wildlife and birds including Africa’s largest surviving population of elephants (120,000 individuals). These are migratory elephants, moving 125 miles (200 km) from river to pans seasonally. Painted dogs may be seen in the Linyanti River section of the park near the boarder with Namibia. The best time to visit is in their dry season: April through October. Wildlife Bonus: Savanna elephant, hippopotamus, lion, leopard, zebra, blue wildebeest, giraffe, tseessebe, Cape buffalo, and crocodile and over 400 bird species including fish and marshal eagles and sacred ibis and other wading birds and Pell's fish owl as well as all roller and king fisher species and many others. Painted dogs hunt in the early morning and evening so you have two daily chances of seeing them at work. During the height of the day, they rest and sleep. The dogs move around considerably and for great distances at a time. The reserve’s guides will probably know where the dogs have been and where they are likely to be headed. No matter how much it resembles the friend sleeping at the foot of your bed, it is not. Watching these animals interact, you cannot help but want to give them a treat as you would your own dog, but these are wild animals - NOT FERAL PETS. The "treat" you give them today could cause their death tomorrow. Wildlife habituated to humans become dangerous and endangered. Image: Thanks to ©Marc Cronje, Independent Field Guide. Wild animals – all wild animals – are most dangerous either when they are sick, threatened, or habituated to humans. Respect the animal’s space. Do not invite aggression by trying to feed or entice a wild painted dog to get closer to you. Remember, a wild animal that becomes habituated to being fed by humans will expect to be fed every time a human is near. That animal will eventually become aggressive and wildlife that is aggressive to humans are exterminated. Protect wildlife. Allow it to be wild. And be aware of the area in which you will be traveling, much of painted dog’s remaining strongholds also have malarial mosquitoes. Contact the proper medical personnel for advice and follow it. But, go see the painted dogs! Their greatest enemy has been human fear and misunderstanding. Invariably, they become a favorite of those who have seen these enthusiastic, generous, and resourceful creatures in their natural environment. Very little information is available on painted dog’s subspecies. The reader is invited to contact us with additional or corrected material. As for viewing, in most cases, the best places to safely see painted dogs in the wild are listed above. Description: Coats have a large amount of yellow and orange with some black on their backs. Undersides are mostly yellow with white on the throat. Possible Viewing Destination: No specific information for viewing this subspecies was found. Watching you watching them: Painted dog. Image: © Marc Cronje,Independent Field Guide. Destination: Kruger National Park, South Africa. Description: Very dark with more black and very little yellow in its coat. Present Range: East Africa. Eradicated in Uganda, Rwanda, Burundi, and in Kenya, except for possibly parts of the north. Small populations can probably still be found in South Sudan. Possible Viewing Destination: Southern Tanzania, Selous (pronounced Seloo) Game Reserve. At over 19,300 sq. miles (50,000 sq. km) this UNESCO Heritage site is the largest reserve in all of Africa, twice the size of Serengeti National Park and three times the size of South Africa’s Kruger National Park. Most of Selous allows trophy hunting. Perhaps a visit to the only 5% preserved for wildlife photography will encourage additional wildlife conservation. Wildlife Bonus: Elephant, black rhinoceros, cheetah, giraffe, hippopotamus, and crocodiles. Description: No specific descriptive information found. Present Range: Formerly widespread in central and west Africa, now possibly only in Niokolo-Koba National Park, Senegal or in W National Park straddling Benin, Burkina Faso, and Niger. This is a UNESCO Heritage site, situated along the Gambia River and under pressure from poaching and human encroachment. The economic benefits of your responsible wildlife tourism may encourage local communities to become more involved in conservation and habitat preservation. This is a malaria zone. Wildlife Bonus: 70 mammal species including: Derby eland (the world’s largest antelope), chimpanzee, green monkey, bay colobus, lion, leopard, elephant, and 329 species of birds, 36 reptile, and 20 amphibian species. Description: No specific information found regarding this subspecies. Range: Native to central Africa: Central African Republic (CAR), Congo and Chad. They were probably wiped out in the later two, but there might be a small population left in CAR. Possible Viewing Destination: Central African Republic, * Manovo-Gounda St. Floris National Park. This UNESCO Heritage site is surrounded by game reserves, but this has not slowed down extensive poaching. The park is also used for livestock grazing, agriculture, diamond mining and is highly subject to human caused fires. Additionally, China is reportedly conducting petroleum prospecting. Sadly, according to a World Heritage Outlook Report, the park has lost 75% of its wildlife in the last five years. Park management does not seem to be consistent or effective. * Not recommended for tourism at this time. Wildlife Bonus: Historically reported: Hippopotamus, black rhinoceros, elephant, leopard, lion, giraffe, buffalo, red-fronted gazelle, kob, duiker, waterbuck, hartebeest, oribi, topi, roan antelope, and giant eland. Some 320 species of bird and waterfowl have been identified, with at least 25 species of raptor including bateleur and African fish eagle. Description: Similar but smaller than L.p. lupinus. Its coloring includes a more buff tone rather than yellow or bright orange. On-going civil wars make painted dog’s survival in Somalia or Eretria questionable. Possible Viewing Destination: There have been occasional, mostly unsubstantiated, reports of painted dogs in the Bale mountain region of Ethiopia. Wildlife Bonus: If in the Bale mountains: Ethiopian wolves, giant molerats. We want to hear about your African painted dog adventures and so do other travelers!